Shy is one of the few kids we've gotten from the lovely Spot. We were very pleased with the FF udder and we knew she would be slow to mature (like her dam Spot)...but mature she has ! Shy milked through 2014 in her first lactation after easily achieving her milk star in 2013. Her second freshening as a 4 year old gave us two lovely doelings in 2015 (Whisper and Flirt). We brought her out to show in 2015 and she was Grand 4 times and BDIS once !! Shy is our very FIRST SGCH lamancha ...making us extra proud of her ! 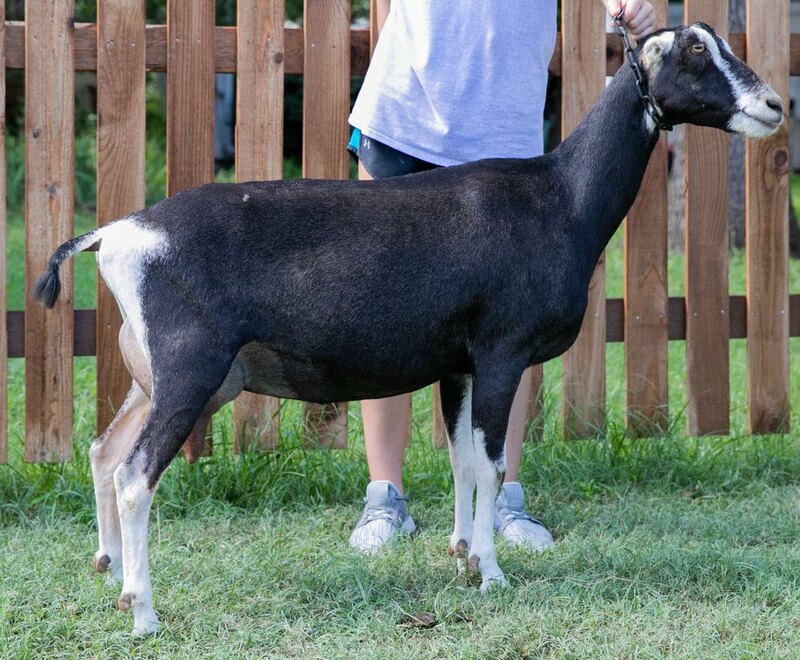 Add to that, she was 7th place 6 yo at 2017 ADGA Nationals and 2nd place 7yo at 2018 ADGA National, standing behind a lovely doe that was Reserve National Champion. She also won Lifetime Milk and Lifetime Butterfat awards!!! We will see how she looks in feels in 2020 as a 9yo and may consider taking her to one more ADGA National. 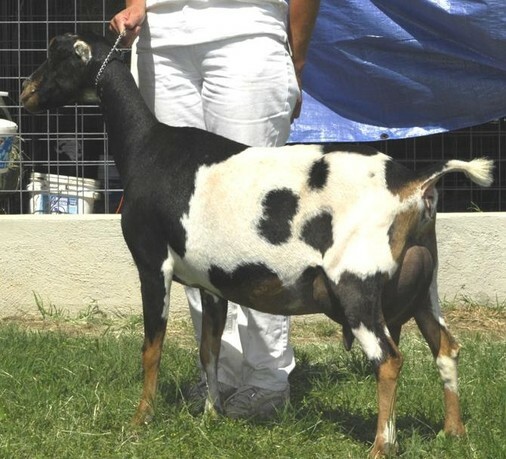 ​We fell in love with her 2016 kids, Hullabaloo and Hutzpah and retained both AND repeated that breeding with Solan. We retained the resulting 2017 doeling Jezebel. 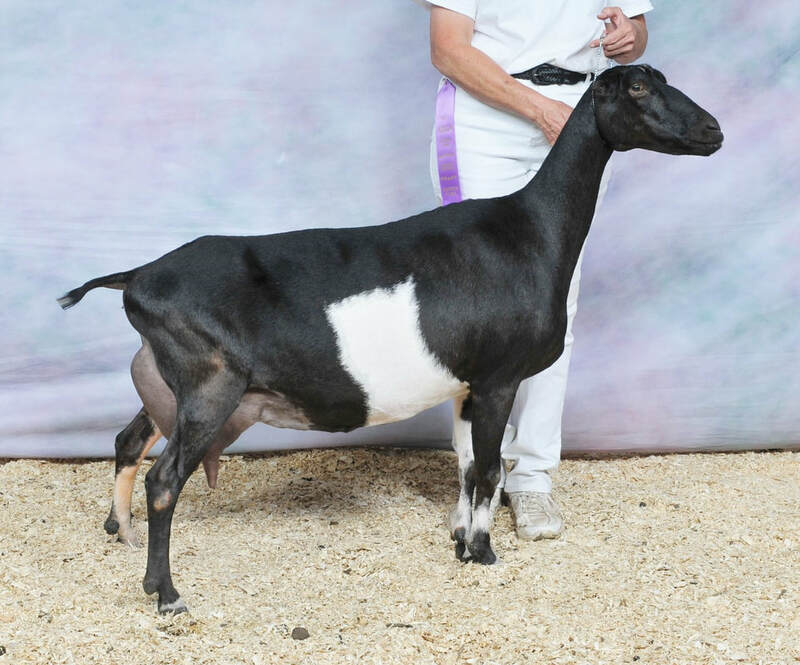 An AI to SGCH Quixote Kate's Kareeem resulted in a singler gorgeous buckling (Latte Da King Kalmar *B) who is now in the Rivergrace herd. 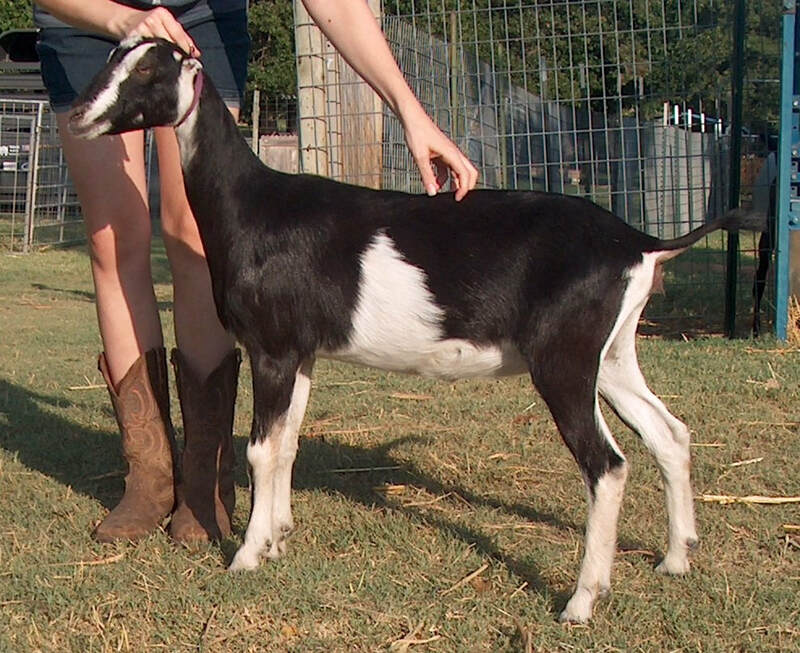 ​2019 will be bringing us AI kids from SGCH Lucky*Star's QK Razzle Dazzle LA91 (a Kareem son) !...stay tuned for exciting news !! !